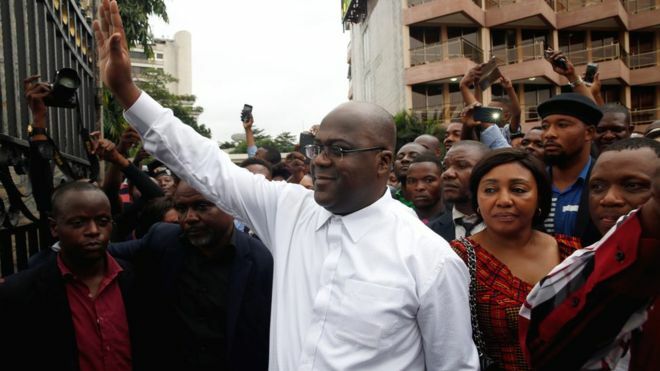 KINSHASHA – The constitutional court in the Democratic Republic of Congo has upheld the victory of opposition presidential candidate Felix Tshisekedi. In the hearing which began on Tuesday 15 against presidential election results that saw the opposition leader Felix Tshisekedi winner, the court rejected an appeal by Martin Fayulu, another opposition contender in the 30 December poll. In an appeal, Mr Fayulu argued that Mr Tshisekedi had made a power-sharing deal with the outgoing president, Joseph Kabila, something Tshisekedi’s team denies. According to court, Mr Fayulu failed to prove that the election commission had announced false results. Tshisekedi is now expected to be sworn in within 10 days.